For his MD Mr Glancy carried out research into the effects of pre-operative radiotherapy on rectal cancer and was awarded the Enid Linder Royal College of Surgeons Research Fellowship. Having gained specialist recognition he undertook further sub-specialty training and was awarded an Ethicon Colorectal Laparoscopic Fellowship under Mr U Khot at Morriston Hospital Swansea, before completing a Pelvic Floor Fellowship under Mr P Durdey at the Bristol Royal Infirmary. 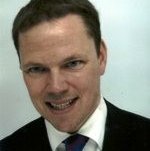 Mr Glancy's main interests are colorectal cancer, benign colorectal disorders, advanced laparoscopic (keyhole) surgery, pelvic floor disorders and new treatments for haemorrhoids (e.g. transanal haemorrhoidal de-arterialisation or THD). He runs a joint pelvic floor clinic with the uro-gynaecologists (Mr M James and Mr P Rahmanou) and performs sacral nerve stimulation (SNS) for faecal / urinary incontinence and laparoscopic ventral mesh rectopexy for obstructed defaecation syndrome (ODS).